A barbed wire fence is perfect if you need to tighten the security around your property, or prevent animals getting onto your land. It protects your property from harm using heavy duty wire with ultra sharp coils laced throughout. Barbed wire is perfect for warding off potential threats while providing a nasty sting to those who make an attempt to cross it. Our barbed wire fencing is available in several lengths and finishes to suit the style you need. 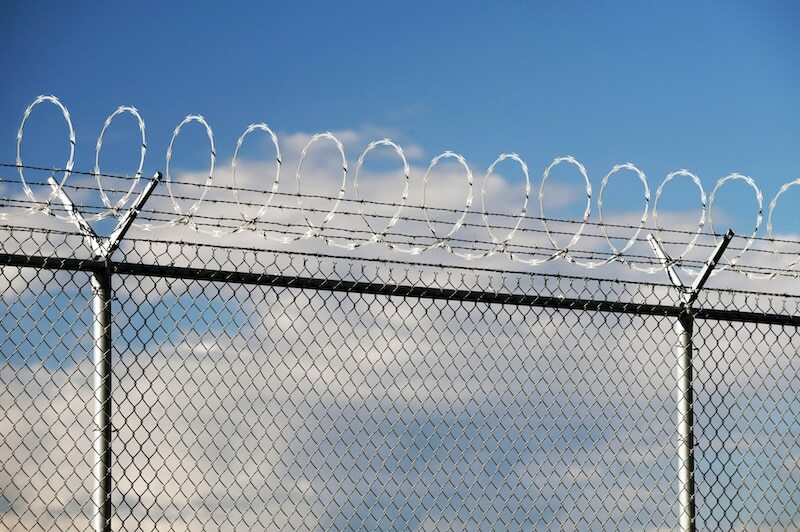 Our fencing specialists can recommend the perfect barbed wire product to get the job done. We can also help with landscaping and installation of your barbed wire fence, guaranteeing a professional job every time. Everlast makes all barbed wire fencing to strict industrial specifications for the ultimate in durability and protection. Our barbed wire is manufactured with Australian steel, right here at our factory in Hoppers Crossing, Melbourne. It means we can make every centimetre of fencing tough as nails and built to last. It also ensures you get the best quality fencing at the lowest price. Why Everlast For Barbed Wire Fencing? We’re an Australian owned business who has been servicing the Melbourne’s West for over 20 years. Our fencing experts understand your needs and challenges. We can tailor the perfect fencing solution for your property. We stand by our products 100% because we make them all here in Hoppers Crossing in Melbourne. Choosing Everlast means you can always rest assured you’re getting the best quality fencing and service at a highly competitive price. As a family owned and operated business, we love being a part of the community and are always here to help. Come visit us for a question, to browse our range or just to talk about your next big project. Everlast Services are a one-stop-shop for all of your outdoor building needs. We are the local experts in fencing, decking, concreting, landscaping and more. From your first call, we guarantee you will feel the difference.